What is this error and how get rid? As far as I know, that’s completely unrelated to Reflect. 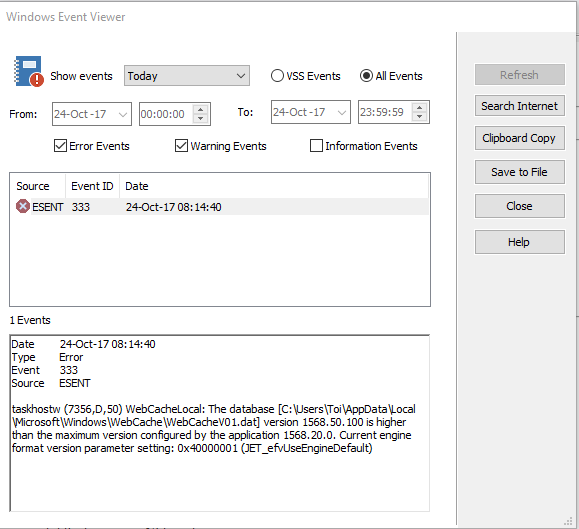 That view just gives you a quick way to see errors in the general Windows Event Viewer. It doesn’t mean everything you see in there will be caused by or even affect Reflect.